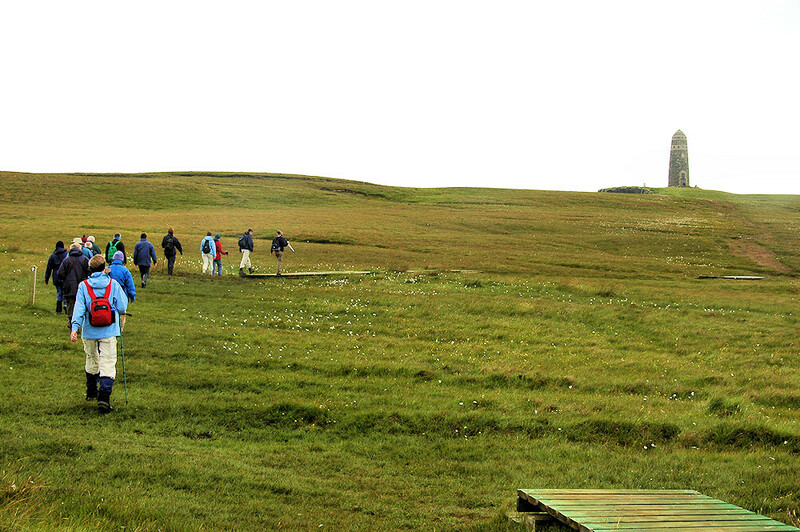 An impression from the weekly RSPB walk on the Oa in the south of Islay. Here we were heading out to the American Monument, from where we watched the nesting site of a Peregrine Falcon on the cliffs below. A great experience for the whole family (the lady with the red backpack is my late mother, my father and sister must have been behind me).